From the line, draw two straight lines straight down to the edge of the plate, to make the stalk. Cut along the lines. 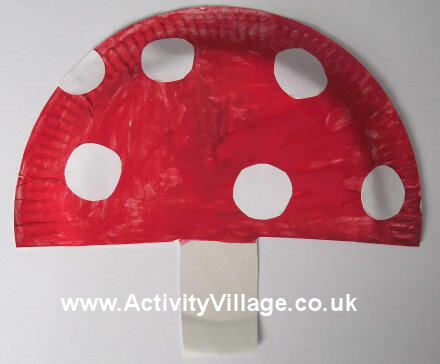 Paint the toadstool cap red and leave to dry. Stick on the white dots.